Colder weather. Time for football, cozying up by a fire, and large steaming pots of simmering chili! Nothing beats a thick, meaty (and spicy) chili when hanging with family and friends. We just gorged our family on this chili recipe while celebrating my birthday this past week; so I wanted to share this heaven-in-a-bowl with you. 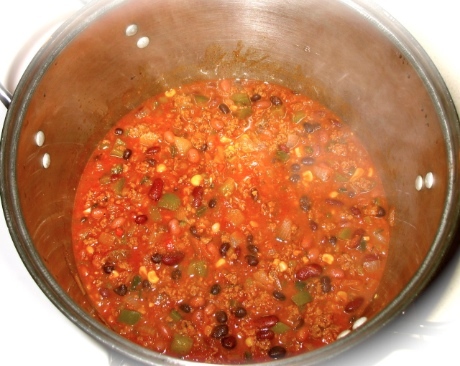 The dish “chili” is so named because historically it contained a delicious mixture of chili peppers. I decided to go back to chili’s roots by incorporating a ton of chili peppers… and I was rewarded with the best chili I’ve ever made. See the clear bowl in the top right of the picture below? It’s full of a diverse mixture of chili peppers, and that’s the secret to great chili – trust me! If you can’t find the exact peppers mentioned above don’t worry, the key is a large variety – any variety – just be sure to incorporate a mixture of mild and hot peppers according to your palette – your research will be rewarded. 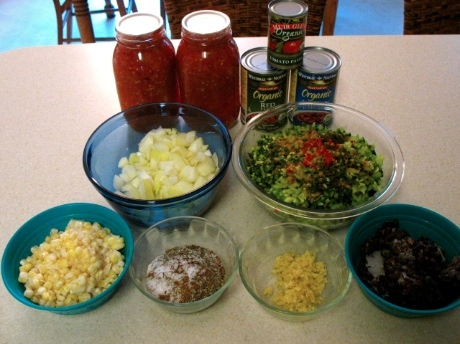 2) Stir in remaining ingredients except tomato paste, corn, and beans. Heat to a boil, reduce heat, cover, and simmer. Continue simmering for 15 minutes. 3) Add tomato paste and stir until completely combined. Stir in the beans and corn. Cover and continue simmering for 1 hour, stirring occasionally covering and uncovering until it reaches desired thickness. Serve in a bowl with your favorite chili fixings. Best when served with a delicious cornbread! Lots of Chili… Now What? We often make noodles and have “chili spaghetti” when we’re getting toward the end of a pot and need something different. 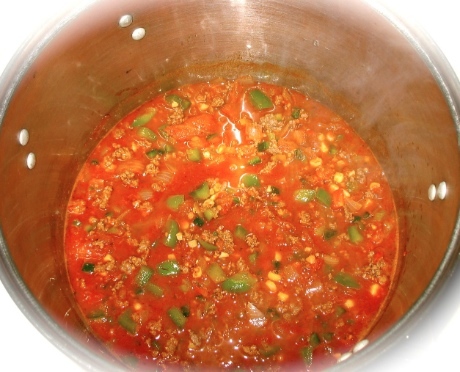 Freeze the remaining chili when family members are grumbling for something different. Ladle one-serving portions into containers and freeze so family members can thaw and eat for a quick meal or take for lunches. Remember to label these frozen leftovers so they don’t get ignored and fall into the dark abyss of the freezer. Scoop a small amount into scrambled eggs for “chili eggs” in the morning or make a chili omelet served with sour cream and cheese! Take some over to the busy neighbors, who will thank you for not having to think about making dinner. 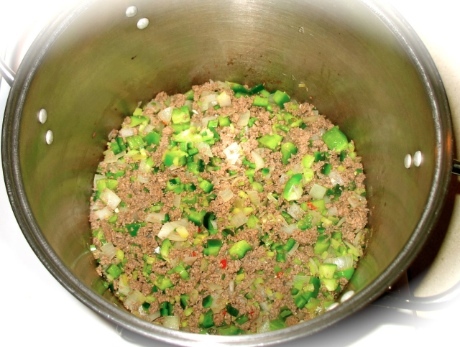 Use it for a very flavorful taco meat. Make “chili tortilla pie,” layering tortillas with chili meat, cheese, onion, tomatoes, lettuce, or whatever sounds good. Chili cheese fries? Yes, please. Have fun tweaking this recipe to please your palate, and let us know if you came up with another great version (but I doubt it beats mine)! 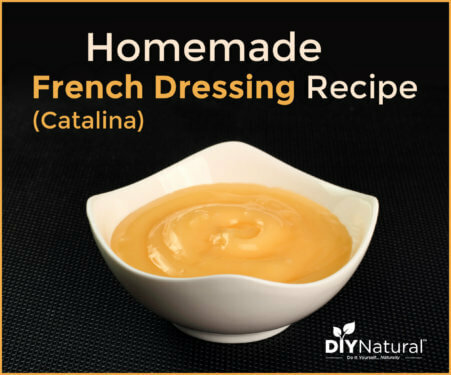 This looks like a mighty fine recipe, but it is hardly authentic. First of all, authentic chili is made with pieces of meat, not ground meat. 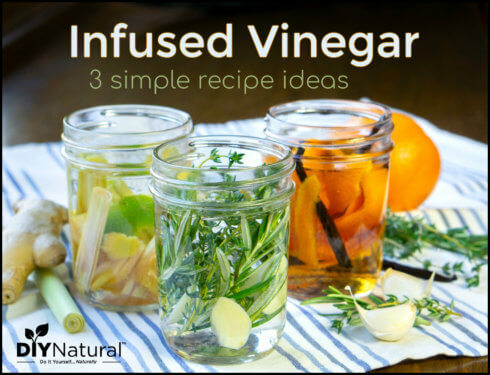 In fact, it was usually made with dried meat, such as jerky, which would then rehydrate in the surrounding liquids. Second, authentic chili does not include beans. It is meat and chiles. Nothing else. Like I said, it sounds like it is probably delicious, and is similar to the way I would make it, but it’s certainly not authentic. Thanks Jason, I’m sure you’re right about this historic take on chili, but like you I’ll stick to this delicious version! Blessings. Great to hear it was a hit Bettina. Every time I receive a comment on this article it makes me want to go cook up another batch! Mission accomplished! This was easily one of the best Chili’s I’ve ever made. A house full of people raved about it today while watching football. I’m pretty sure the corn and saffron is what made it so good…….and my personal touch with a little more heat, 2 habanero’s chopped and mixed in. Thanks for this recipe Matt, please share any more Sunday Funday recipe’s you have. Awesome Jeremy, glad everyone liked it, I LOVE the stuff too! Alright Matt, it’s official, your recipe wins! I’m making this Chili tomorrow for a football party at my house. I think it’s going to be delicious. The only thing I might add is a few chopped up habeneros from my garden to really heat this chili up. It’s soooo good Jeremy, let me know what you think! I made this chili yesterday for dinner. It took a whe to chop all the peppers. I thought it was going to be very spicy but it wasn’t. I thought it was extreamly good and had a different taste to it than any other chili I’ve ever tasted. The only thing I think I would change next time is to add a Lil more of the red pepper sauce or chili powder. Thank you for the recipe I don’t think I will ever go back to my regular chili recipe with the packet again. I forgot to add that you should definitely wear gloves when cutting the peppers. My hands were buring for hours after. I looked up how to get it to stop and had to go to the store to get lime juice to stop the burning. Glad you like the chili Melissa, it’s so delicious! Great point about the peppers, I always just deal with the heat, perhaps I’m just used to it. Blessings. As a Texan, I take my chili very seriously. I’ve rarely seen a chili recipe by a non-Texan that actually looked decent and worth trying. I’m going to add this one to the short list of chilis I’ll try. I’m not going to do the corn but the rest of it looks… almost good enough to be eaten in Texas. And that’s the best compliment I can give you. Thanks Juli, I understand how Texans are about their food, all my step-family lives there. Pretty much any recipe I come up with is as authentic and whole as possible. By whole I mean whole ingredients… no pre-made mixes or shortcuts. I love the process of creating a great recipe and sharing the results with loved ones! thanks for all the great recipes, laundry detergent, shampoo, it’s all been great!!! keep the advice coming my family is really doing well going chemical free! This sounds yummmy! Have not had cubanelle or Hungarian peppers..but have used all the rest, am guessing the spices are gonna be the KEY to fantastic flavor. Peppers are a mainstay at our home….am going to make this tomorrow! Thanks for the recipe, and thanks for your wonderful and helpful site! You’re welcome Lisa, how did it turn out? I don’t know if I’ve ever made chili with actual peppers in it! Now that the weather is finally cool I’ll have to try it.